Governor Scott Thanks FL Dems Chair Tant For Her Efforts to "Move Our State in the Right Direction"
No, we aren't kidding. 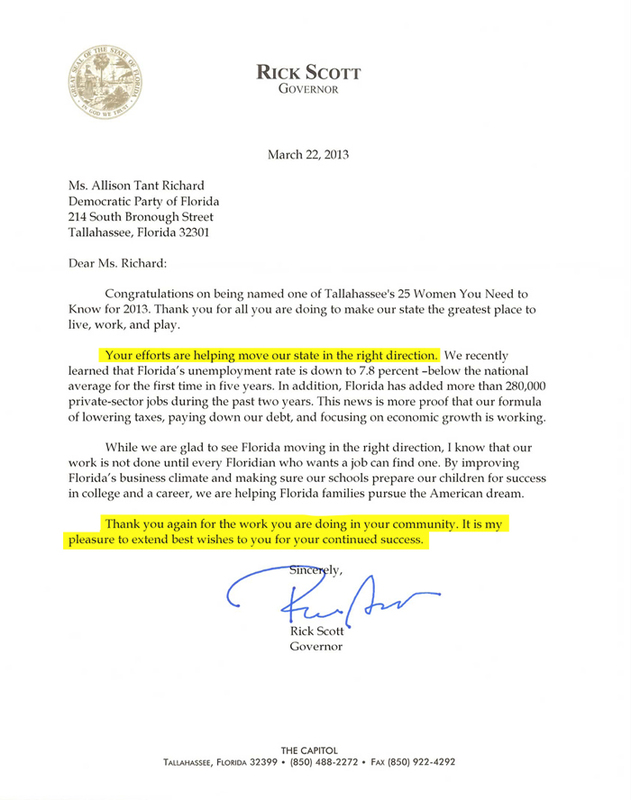 Check out this letter Chairwoman Tant received from Gov. Rick Scott saying she's helping to "move our state in the right direction," and extending his best wishes for her "continued success." Help us push this on social media today. You can find our tweet here and our Facebook post here. Please share this news with your friends!